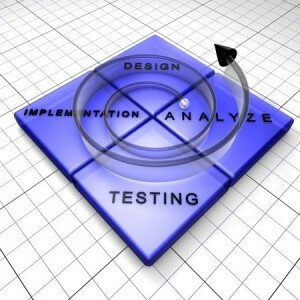 What Should Be in Your QA Test Plan? A test plan is a road map that you create before you start testing. It includes all the high-level detail necessary to define the test effort that will be executed. It should receive review and sign-off by project management. It is a good idea to use a template so that nothing is forgotten. Who is overall in charge of the test effort? What types of testing will be performed? What tools will be utilized for testing? How will bugs be tracked? How often will builds be delivered to QA for testing? What special skills will be required by the test team? What features are in scope and what features are not? How do we know when to stop testing? The answers to some of these questions will, of necessity, remain fluid, but it is necessary when going into a test effort that there be a plan for accomplishing everything that must be accomplished to ensure that a quality product gets released. Adequate preparation is essential, and the act of completing a test plan forces an organization to consider every aspect of the test process and fill in the holes before they have a chance to derail the test effort. Here at Beta Breakers, creating a test plan is one of the first, and most important, steps we take when beginning a project. To learn more about our test plans and the testing process as a whole, please call us at 415-878-2990.